Asafu-Adjaye et al., An Ecomodernist Manifesto: A manifesto to use humanity’s extraordinary powers in service of creating a good anthropocene. 2015. Randy W. Schekman, Jennifer Doudna, Richard A. Muller, and Pamela Ronald. 2016. Consensus & Controversy in Science: Genes, GMOs & Climate. The Morton L. Mandel Public Lecture. Plant Engineers Sow Debate, Scientific American Classics: The Birth of the Great GMO Debate. P. C. Ronald. 2012. Genetic engineering and ecologically-based farming. Wired magazine, In Press. Pamela C. Ronald and James E. McWilliams. “Seeds of Hope” New York Times OpEd. May 15, 2010. P. C. Ronald and B. Beutler. 2010. Plant and Animal sensors of conserved microbial signatures. Science. 330:1061-1064. 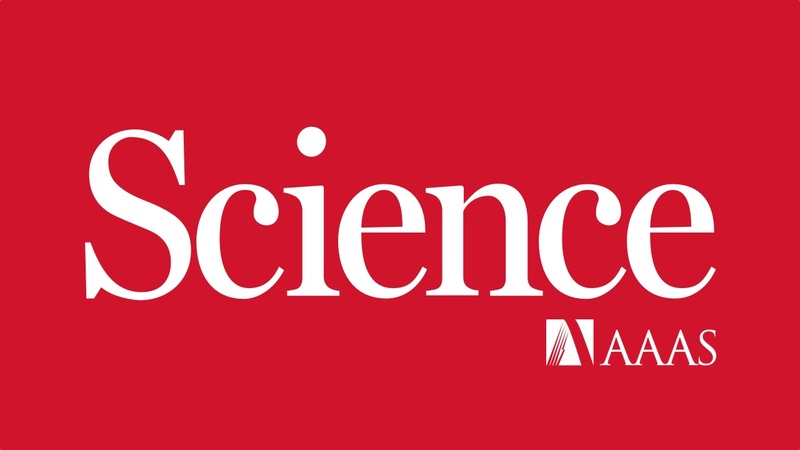 Science Magazine Highlighted Research. Ronald P. 2009. Foreign Invaders:The environmental consequences of transgene flow. Harvard International Review. 31(2):58-60. Ronald P. 2008. What if Organic Farmers joined forces with Genetic Engineers? Conservation Magazine Vol 9:3.Conservation Magazine’s overriding goal is to engage the top thinkers and writers of our time in conservation’s evolving narrative. Ronald P and Adamchak R. Tomorrow’s Table: A marriage of genetic engineering and organic farming. 2008. Oxford University Press. Insuk Lee, Young-Su Seo, Dusica Coltrane, Sohyun Hwang, Taeyun Oh, Edward M. Marcotte, and Pamela C. Ronald. 2011. Genetic dissection of the biotic stress response using a genome-scale gene network for rice. PNAS, 108(45) doi: 10.1073/pnas.1110384108 (pdf). Young-Su Seo, Mawsheng Chern, Laura E. Bartley, Muho Han, Ki-Hong Jung, Insuk Lee, Harkamal Walia, Todd Richter, Xia Xu, Peijian Cao, Wei Bai, Rajeshwari Ramanan, Fawn Amonpant, Loganathan Arul, Patrick E. Canlas, Randy Ruan, Chang-Jin Park, Xuewei Chen, Sohyun Hwang, Jong-Seong Jeon, Pamela C. Ronald. 2011. Towards Establishment of a Rice Stress Response Interactome. PLoS Genet 7(4): e1002020. doi:10.1371/journal.pgen.1002020 (pdf). Chiniquy Dawn, Vaishali Sharma, Andrew Carroll, Edward Baidoo, Alex Schultink, Jesper Harholt, Markus Pauly Henrik Scheller, Pamela Ronald. 2012. XAX1 from Glycosyltransferase Family 61 Mediates Xylosyltransfer to Rice Xylan. PNAS 109, # 42, 17117-17122. Han SW, Lee SW, Ofir Bahar, Benjamin Schwessinger, Michelle R. Robinson, Jared B. Shaw, James A. Madsen, Jennifer S. Brodbelt and P. C. Ronald. 2012. Tyrosine sulfation in a Gram-negative bacterium. Nature Communications, Nature Communications 3:1153 (pdf). Genome sequence analysis of the model grass Brachypodium distachyon: insights into grass genome evolution. 2010. The International Brachypodium Initiative. Nature 463, 763-76. Dardick C and P. C. Ronald 2006. Plant and Animal Pathogen Recognition Receptors Signal through Non-RD Kinases. PloS Pathogens. 2(1):e2. Fukao T, Kenong X, Ronald P. and Bailey-Serres J. 2006. A variable cluster of ethylene responsive-like factors regulates metabolic and developmental acclimation responses to submergence in rice. Plant Cell. 18: 1791-1802. Park CJ, Ying Peng, Rebecca Bart, Xuewei Chen, DeLing Ruan, Patrick E. Canlas, Christopher Dardick, and P. C. Ronald. 2008. Rice XB15, a protein phosphatase 2C, negatively regulates programmed cell death and XA21-mediated innate immunity. PLoS Biology. 6(9): e23. Xu K, Xu X, Fukao T, Canlas P, Heuer S, Bailey-Serres J, Ismail A, Ronald P, Mackill D. 2006. Sub1A encodes an ethylene responsive-like factor that confers submergence tolerance to rice. Nature. 442: 705-708. Selected by Faculty of 1000 Biology as one of the most important advances in the field. Awarded CGIAR prize for outstanding scientific article. Xu K, Xu X, Ronald P, Mackill DJ. 2000. A high-resolution linkage map in the vicinity of the rice submergence tolerance locus Sub1. MGG. 263:681-689. Wang GL, Ruan DL, Song WY, Sideris S, Chen L, Pi LY, Zhang S, Zhang Z, Fauquet C, Gaut BS, Whalen MC and P. C. Ronald 1998. The rice disease resistance gene, Xa21D, encodes a receptor-like molecule with a LRR domain that determines race specific recognition and is subject to adaptive evolution. Plant Cell 10:765-779. Song W, Pi L, Wang G, Gardner J, Holsten T, P. C. Ronald 1997. Evolution of the Rice Xa21 Disease Resistance Gene Family. Plant Cell 9:1279-1287. Bureau T, Ronald P, Wessler S. 1996. A systematic survey reveals the predominance of small inverted repeat elements in wild type rice genes. Proc. Natl. Acad. Sci. 93:8524-8529. Jiang J, Wang G-L, Ronald P, Gill B, Ward. 1995. Metaphase and Interphase mapping of the rice genome using bacterial artificial chromosomes. Proc. Natl. Acad. Sci. 92:4487-4491. Kearney B, Ronald PC, Dahlbeck D, Staskawicz B. 1988. Molecular basis for evasion of plant host defence in bacterial spot disease of pepper. Nature 332:541-543. Song W-Y, Wang G-L, Zhu L-H, Fauquet C, P. C. Ronald 1995. A receptor kinase-like protein encoded by the rice disease resistance gene Xa21. Science, 270:1804-1806.